After a compelling Fall slate of games, the Mid-Atlantic tapered off into their winter break; but not without three games to cap 2018 off. The final fall weekend in the Mid-Atlantic featured an intense trio of matches to conclude 2019. The conference will take a three-month winter break and resume play on March 2nd. 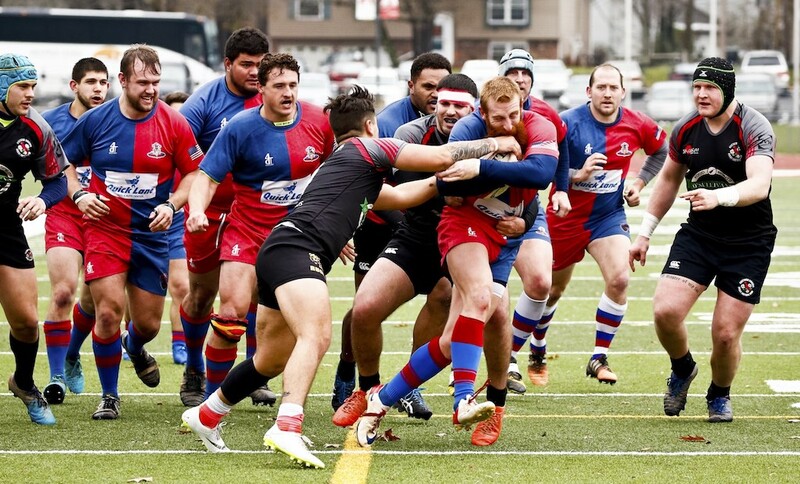 After a brutal three-game stretch on the road, Division I's Pittsburgh Harlequins returned home to vanquish a solid Northern Virginia (NOVA) club, 38-36. The Harlequins never trailed but NOVA challenged them every step of the way. The match came down to who could make their kicks as Pittsburgh scored five tries and made all their kicks while NOVA dotted down six, but made only three conversions. NOVA came back toward the end and we played very undisciplined in the last 15 minutes to allow them back into the game." Jerpe summed up the season by saying the fall was full of missed opportunities. "We started off very strong, but we let our road games get away from us. We have the capability and the personnel to compete with anybody in the league, but on the road, it's more of a mental game right now." The Potomac Exiles picked up their third Division I win of the season beating the Washington Irish, 28-21. It was the Exiles' second win over the Irish in three weeks and it wasn't easy. Potomac was shut out in the first half but Owen Lentz, Brendan Porter, Matt Flynn, and Kevin Kimble scored tries after the break. Flyhalf William Taylor connected on all four conversions in the victory. "The Irish came out firing," Potomac coach Owen Lentz said. "Playing uphill was a challenge for both teams. The Irish closed our wide game down and we adjusted to pick and goes. It was pretty ugly and to win by just doing that was pleasing." After postponing the match last week, the top two clubs in the Division II South faced off against each other and James River took one step closer to the divisional lead with a 42-25 victory over the Richmond Lions. James River survived three cards in the first half to explode for 30 points in the second. The lead exchanged hands six times before James River took the advantage for good in the 55th minute. Outside center Evan Fowler earned the game ball with 22 points from his boot nearly outscoring the Lions off the tee. "We started gaining the upper hand in the second half when we started playing with a bit more patience and went through the phases," coach Mark Fowler stated. "We were far more accurate in our execution and kept the scoreboard ticking over with our territorial advantage." After being the runner-up in Division III last season, the jump to Division II has been a big step up for James River, but the club has embraced the challenge. "Our fall season has been a learning curve for a lot of players," Fowler said. "We have had to overcome a lot of injuries and have probably played 30 players in starting roles. We have a lot of athleticism but are still very raw. A lot of the lads need game time, but the talent pool is deep and if everyone stays together we will improve. We are all looking forward to the spring season and just trying to improve and grow as a unit." The final match of the weekend ended before it began. The Virginia Griffins forfeited to the Washington Irish's Division III side. The Irish improve to 3-3 with the win, while the rookie Griffins are still searching for their first victory.